The statistics show that distracted driving is a serious problem in Arizona. Fortunately, some people within the state are working hard to put laws in place to fix the problem. In the meantime, there are things you should do if you’re hit by a distracted driver. Did you know that multitasking is a myth and the brain can’t actually perform two tasks at once? Did you know that drivers using cell phones have slower reaction times than drivers who are over the legal intoxication limit? Did you know that, at any given time, 9 percent of all drivers are using their cell phones? Knowing these statistics, is it any wonder then that 1 in 4 car crashes involve cell phone use at the time of the wreck? Most people understand that distracted driving is a problem, even students. Nevertheless, Arizona is 1 of only 2 states that doesn’t ban texting for all drivers (though the state does prohibit certain drivers from using cell phones and several cities have enacted their own local laws). Let’s take a closer look at some distracted driving statistics in Arizona, the measures that have been taken to prevent distracted driving, and what to do if you’re hit by a distracted driver in the Grand Canyon State. Each day in the United States, approximately 9 people are killed and more than 1,000 are injured in crashes that involve a distracted driver. Drivers who text in Arizona can technically be cited under the state’s law for driving at a speed that is not “reasonable and prudent,” but few—if any—officers enforce this law. Several cities and counties (including Tucson, Pima County, Glendale, San Luis, Parker and Oro Valley) have enacted local laws banning the use of handheld wireless devices, while others have enacted laws prohibiting texting and driving (Phoenix and Flagstaff). The chances of a statewide law addressing distracted driving have increased significantly in 2019, in the wake of Salt River police officer Clayton Townsend's death in a crash caused by a driver who admitted to texting at the time of the accident. State Senator Kate Brophy McGee introduced a handheld cell phone ban for all drivers in response, and a number of similar measures are pending in the House. How does distracted driving impact liability in a car accident? When one driver (the “plaintiff”) sues another driver (the “defendant”) for damages caused by a car accident, the plaintiff must generally show that the defendant’s carelessness caused the accident. In the legal world, this carelessness is called “negligence.” In many cases, negligence can be proven by showing that the other driver was using their cell phone immediately before the accident. 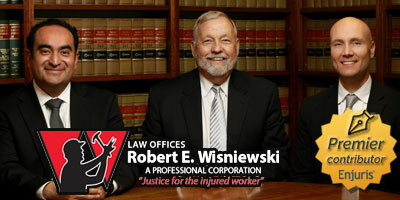 Enjuris tip: Read more about fault in Arizona personal injury lawsuits. What if I get hit by a distracted driver? Call the police. The police will conduct a small investigation and write a police report that could help prove liability down the road. The police can include information in their report about any potential evidence of distracted driving (such as any incriminating statements by the distracted driver or an open bag of fast food on the distracted driver’s seat). Exchange information. Make sure you get the other driver’s name, contact information, insurance information, license plate, car make and model, and driver’s license number. Get witness information. This is crucial, because witnesses are notoriously difficult to locate after an accident. Photograph the scene. Use your phone and take pictures of the cars, injuries, and anything else that might be relevant. Receive medical attention. Make sure to see your doctor and document your injuries. If you don’t see a doctor soon after the accident, the insurance company will likely question the legitimacy of any eventual injury claims. Contact your insurance company. Start this process as soon as possible and keep all your documents in one place. It helps to use a post-accident journal and expense worksheet. Talk to an attorney. Even if you’re not sure about a lawsuit, a lawyer can help you decide how to proceed. Oftentimes, you won’t know if the other driver in your accident was distracted or not. An experienced lawyer can develop this evidence by obtaining cell phone records, video evidence, and talking to witnesses. Try our free Arizona personal injury law firm directory to find an attorney in your area who is knowledgeable about distracted driving car accidents.